CHINA: Sany has spoken for the first time since President Obama blocked the company from owning four 10MW wind projects in Oregon on grounds of national security. Speaking to Windpower Monthly, Sany director Xiang Wembo said the move by Obama and the US military meant the company was reconsidering its involvement in the US and that it had lost face over the issue. However, Xiang also said: "On the other hand we are actively seeking new projects for the wind turbines we have shipped to the US." In July, projects were cancelled by a Committee on Foreign Investment in the United States (CFIUS) citing "national security risks" as the projects were near US Navy restricted airspace. The panel also produced an amended order on 2 August prohibiting the sale of the projects, which are within five miles of restricted airspace. Additionally, the CFIUS said it only found out about a deal to sell the projects on via an article in Windpower Monthly. In response, Sany is now suing the US government. It has also pointed out that the area is not marked out as restricted on any maps. Sany also said other foreign-owned companies have projects in the area. Xiang said: "I think dignity is more important than money. It is not our way to eat humble pie when treated unfairly. "We choose to sue CFIUS and President Obama in the United States, because we have confidence in the US legal system. We are to make long-term investment in US. We never and will not do anything to harm US national security." 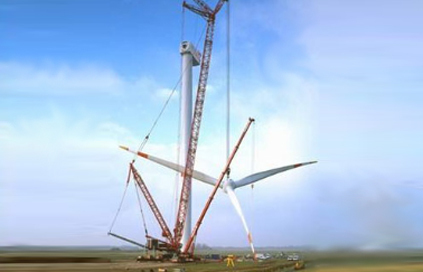 Obama wins second term - does wind win?